As a part of the NRF Conference Intel coordinates a series of Store Tour through some of the most innovative and imaginative retailers in NYC. It is always a great to witness first hand engagement and store floor experiences collide. When this is done well, the technology becomes transparent to the engagement. This year we stopped in and visited with Lululemon, Flying Tiger, the Nike Running Store, Club Monaco and Lowes. We know the shopper is spending more time online researching before they enter the physical store. Even while this trend continues to grow, the physical store is still the primary place for transaction – more than 90% of consumers purchase in store. The showcase of stores throughout the tour deliver unique and compelling approach to shopper engagement. Lululemon Athletica is all about connecting and engaging with its customers. 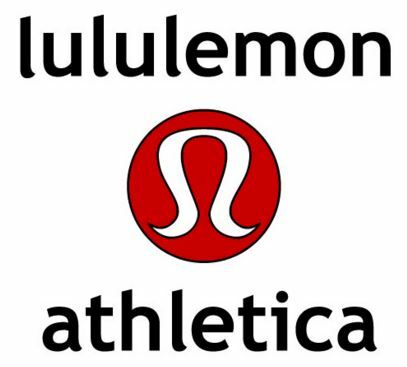 Lululemon is a designer and retailer of technical athletic apparel (apparently for the last few years offering men’s clothing and workout gear as well). Their focus has always been on healthy lifestyles – and now have now extended the concept by utilizing nearly half of the space to non-selling activities and engagements. Certainly this space was inviting, equipped with WiFi and power outlets to encourage customers to stay longer. Additionally, workout studios and an online community round out the customer engagement strategy. Through online community, Lululemon encourages its loyal customers with workout routines, upcoming events, or recommendations to favorite neighborhood locations. Cities the size of NYC can be intimidating to newcomers and Lululemon is providing a community level connection for its customers. Next up was Flying Tiger – a Danish based retailer who sells quirky products with Scandinavian design aesthetic at affordable prices. Think of it as value shopping (most items are priced <$5) targeting a premium customer. Very little use of technology in the store and no online presence. The store is laid out in a maze, guiding customers through every department on their way to the till. It has a minimalistic and Danish style. Store inventory rotates ~10-12x/year and individual category inventory turnover can be much higher. Focus is on a fun experience and word-of-mouth drives new and repeat customers. Hard to walk out without making a small purchase. The Nike Running Store in Manhattan is the Global Flagship store for Nike Running. The store and the associates are all well versed in telling the Nike story. Looking around you will notice the walls are covered in the original waffle print design of Nike’s first running shoe and tributes throughout are paid to Bill Bowerman, the University of Oregon track coach who co-designed with Phil Knight a better running shoe based on the famous waffle pattern. With that said, many of us would assume the experience to be similar any other running store - shoes on a wall, shorts and shirts on hangers. However, the Nike Running Store is focused transforming the customer engagement model. Through the use of the Nike + app, sales associates are better equipped to share information about Nike running shoes, perform a gait analysis and offer recommendations to better meet the customers’ running needs. Nike + app will be leading the way for continued customer engagement. It frees Nike up from focusing on hardware and in return enables Nike to work with the industry’s best hardware suppliers like Garmin and TomTom. Club Monaco is a lifestyle retailer focused on classic, elegant clothes, food, books, flowers, vintage and home products – clearly repositioning the brand and experience as the definitive choice for the creative class. By extending the engagement beyond just beautiful clothes, the retailer is able to extend the customer engagement. In a relaxing and inviting environment, consumers spent significant time enjoying themselves in the store. One interesting aspect was the book shop “The Strand” featured prominently as part of the overall store environment. When inquiring about book sales, I was told that all of the books which were a part of Club Monaco were new (vs. ~ 40% of the books at the Flagship Strand location were new) and the best sellers were large format books, meant for coffee table or display. Of course those books also tend be given as gifts. As a result, you could envision customers coming to this location not only for themselves but also to shop for gifts. Lastly, we wrapped up the tour by visiting a Lowes. I know what you are thinking. Really? You are in NYC and have all of those fabulous retailers to visit and you stopped at Lowes? Yes! Let me tell you why – endless aisles. It is no surprise retailers are embracing smaller store footprints. In order to provide customers with a broad selection in smaller footprint stores, retailers have turned to a virtual product catalog. In order to make this engaging, Lowes has opted for full size screens to better showcase refrigerators or other large scale appliances. By doing so Lowes can stock inventory on the store floor that best serve the majority of their customers. While, at the same time serving customers who have unique or custom requirements, for instance a commercial grade refrigerator, or maybe smaller space requirement to fit a studio apartment in the city. I hope you enjoyed this summary of 2016 Store Tour. My desire is to share with you a spectrum of engaging styles retailers are deploying to differentiate from their competition. Intel is ready to have a conversation with you about customer engagement. Let us know how we can help. Senior Marketing Manager at Intel. Mike Taylor is a senior marketing manager with 23 years of experience at Intel. In his current role, Taylor is focused on delivering innovative mobile solutions to the retail vertical segment. 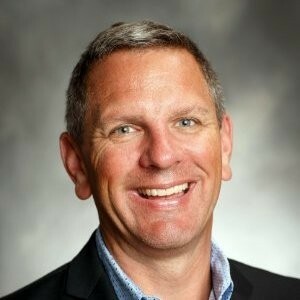 His extensive experience includes working with leading companies across hardware OEMs, with software developers, and with industry groups across numerous audience segments. During his career at Intel, Taylor has repeatedly led feature-rich products to market through all sales channels. His strong industry marketing perspective includes key strategic engagements with industry leaders. Taylor started his career at Intel as a small business program marketing manager and subsequently went on to become a consumer platform manager, a smart TV platform manager, and a retail and enthusiast marketing strategist, prior to his current role. His specialties include online marketing demand generation programs, consumer electronics marketing, B2B and B2C product launches, and technology adoption. Taylor graduated from Oregon State University with a Bachelor’s degree in marketing, and from the Oregon Graduate Institute with MS of management, marketing. You can follow him @MATaylor67 on Twitter.